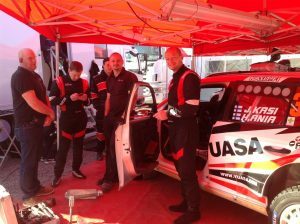 The first rally of the Finnish Rally Championship (FRC) summer season, the O.K. 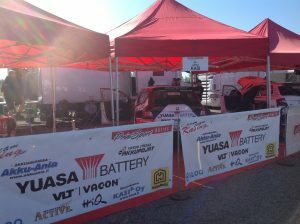 Auto Rally, was run in sunny conditions in Kouvola, Finland. The route offered approximately 100 SS-kilometers of entirely new roads in the FRC series. Thursday commenced with a short test run near Kouvola. As a continuation to this, and prior to the actual rally, Friday offered a Shakedown SS for final preparation. 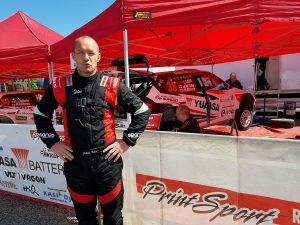 – We made two runs on the Shakedown SS and the feeling was great, Jukka Kasi and co-diver Henri Ania commented on their preparation before the actual start of the rally on Saturday. 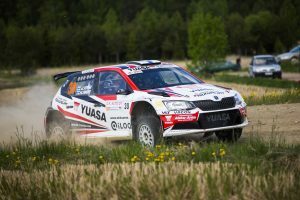 The first three special stages, totaling 40 kilometers in length, offered a much-welcomed ”run-in” for the summer season. In many ways, the nature of the route resembled the roads of the next rally in Ostrobothnia area. – The first special stages were versatile and much to our liking. Nevertheless, we drove cautiously in order to get a good touch of the car again after the mid-season break, Kasi summed up the beginning of the rally during the first maintenance break. After the first service, the route circulated back through special stages 1–3 which were now run as stages 4–6. 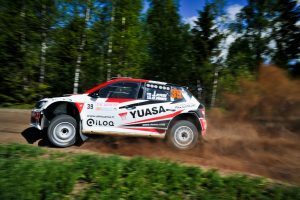 On the second leg, the speed was considerably higher, and the stages presented some of the team’s best driving throughout the rally. – Something just happened in terms or our driving after the first service. 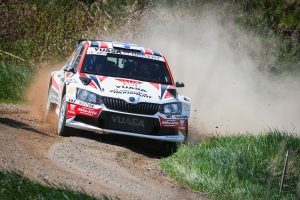 In every special stage that was driven for the second time, our speed increased by approximately a second per kilometer. It was clear that the traction was much better on the second leg, but our confidence went up as well, co-driver Ania commented during the second service break. – These special stages were without a doubt the best of what the day had to offer and our driving was at a good level. One could say we really got our summer season going properly, Kasi smiled just before leaving for the rally-ending two special stages. At this point, after the first six special stages, the Kasi-Ania pair’s standing had stabilized at 7th position in the FRC1 class. The conditions on the finishing special stages 7-8, totaling to 16 kilometers, were slippery and dusty. Further, the nature of the road experienced a changed compared to the previous specials of the day. 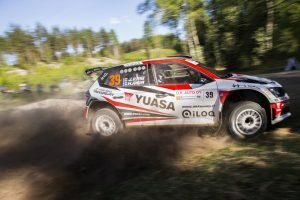 – We set out to complete the last stages with as flawless and safe driving as possible in order to avoid losing the best ranking of the season and important FRC-points due to unnecessary mistakes, Kasi laughed at the rally finish. 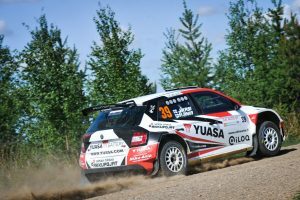 The next FRC-series rally is driven in Western Finland, Seinäjoki, in 15–16 June 2018.